This Mockup with coffe maker is perfect for caffe website. 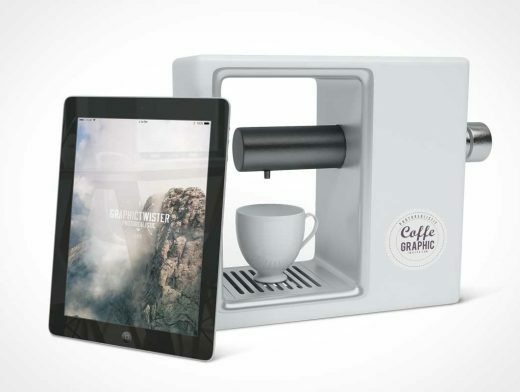 You can use the mockup to show case your menu or web presentation on iPad with photorealistic coffe maker . Add your image inside the smart object and enjoy you work. Bonus logo mockup on coffe maker.